Otosome - Kia, South Korean car manufacturer, has recently released three brand-new Sportage interior shots. Along with that, they also inform the specifications of this fourth-generation Sportage. Kia Sportage was built in 2016 as a new model, 40 mm longer than the previous model. Meanwhile, the car remains the same height, ie 1,635. More aerodynamic car body with the changes in the bumper. Wrote Inautonews. Luggage capacity is also more widely, from 456 liters to 503 liters. The fuel tank too. Up from 58 liters to 62 liters. Car rims are available in a choice of alloy with a size between 16 to 19 inches, including GT Line's exclusive wheels sporty design. There are also LED fog lights, dual exhaust mufflers, as well as a sharper suspension configuration. 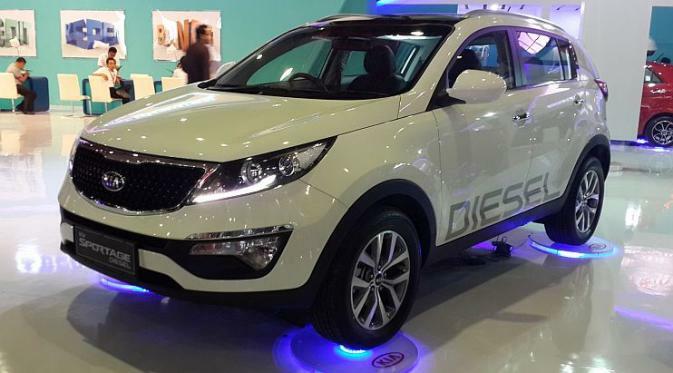 The Sportage will be equipped with a 1.6-liter GDI engine produces 130 power and torque of 161 Nm Tk. There is also a choice of engine with turbocharger that produces power Tk 175 and 265 Nm of torque. In the economical version, Kia provide 2 options CRDi turbodiesel engine that produces power 113Tk or upgrades are powered 181Tk and 400 Nm of torque. All variants of this engine will be paired with a six-speed automatic transmission or a seven-speed dual-clutch box. Inside the cabin, the 2016 Sportage is equipped with 8-inch touch screen, 6 standard speakers and 160 Watt sound system. There is also the option JBL with 8 speakers and 320 Watt sound system.